Manning Brown, director of Regular Baptist Chaplaincy, invites all interested people to attend chaplaincy training on Tuesday, June 26, 12:30–4:30 p.m., at the 2018 GARBC Conference site, Hamilton Hills Church, Fishers, Indiana. Ch. Pam Russell will be speaking on ministering to our government officials and overcoming the challenges of sharing the gospel in today’s politically polar environment. Dr. Thomas White will also be speaking on ministering to transgender people. Register for the seminar at www.garbcConference.org. Clare Jewell, national church planting coordinator for Regular Baptist Churches, invites you to attend a preconference workshop on church planting, Tuesday, June 26, 1:30 p.m. at the 2018 GARBC Conference site, Hamilton Hills Church, Fishers, Indiana. Join Clare and church planters Dan Nichols, Ryan Frank, and Luke Johnston as they focus on coaching, evangelizing, and using digital technology to reach people for Christ. Tuesday, June 26, 1:30 p.m.
Strategic plans aren’t just for the corporate world! They should be an integral part of any local church ministry. God has entrusted you with resources. Are you utilizing them to their fullest potential? 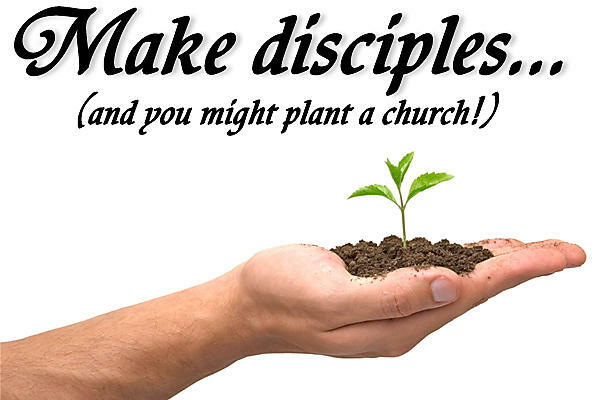 Do you have a thought-out plan to reach the lost and grow your church both spiritually and numerically? In a module prior to the GARBC Conference, Steve Viars, pastor of Faith Church in Lafayette, Indiana, will guide you through the process and help you start a plan for your ministry. Register for the strategic planning module and the GARBC Conference. Wednesday, June 27, 1:30 p.m.
Optimize your visitor return ratio and help ensure that those who walk through your church’s doors for the first time ultimately become active members in your church. Mark Neal, pastor of Hamilton Hills Church, Fishers, Indiana, host of the 2018 GARBC Conference, has a proven record in turning guests into family. He will help you think through key principles so you can put a plan into place that fits with the demographics of your community and work with available resources. Clarks Summit University will host the 35th anniversary of the LYFE Women’s Conference, offered over two weekends, May 31–June 2 or June 7–9. Be refreshed through the ministry of keynote speaker Sharon Jaynes, known for her work with Proverbs 31 Ministries and Focus on the Family, and practical, Biblical breakout sessions. Kezia Curry, vocal recording artist, and Martha Bolton, an author and comedian, will also be featured. Meals are included, and accommodations are available on campus or in nearby hotels. Register online at www.ClarksSummitU.edu/LYFE. For questions, phone 570.585.9198 or email lyfe@ClarksSummitU.edu. “Exploring the Weekly Rhythms of Ministry” will be the panel discussion featured at the Grand Rapids Association of Regular Baptist Churches Breakpoint Meeting on May 15, noon–1:30 p.m. at Kentwood Baptist Church, Kentwood, Michigan. “The Digital Culture of Kids Today” will be the topic of a seminar hosted by West Cannon Baptist Church, Belmont, Michigan, on Sunday, May 20, 6:00–7:30 p.m. The seminar will be facilitated by Protect Young Eyes, an organization that provides busy parents and tech-savvy kids information and tools they need to use technology wisely. For more information, see Protect Young Eyes. “Launching Healthy Churches That Grow” will be the focus of Track 1 for the School of Church Planting, sponsored by Baptist Mid-Missions. The seminar will be held at City Light Baptist Church in Culpepper, Virginia, June 11–14. Presenters for the seminar will be veteran church planters and coaches Ken Davis and Roger McNamara. The seminar includes 27 hours of classroom instruction throughout three and a half days. Track 1 is geared specifically for pastors, missionaries, and church planters who are planning to start new churches or are in the early stages of church plants. The track walks attendees through the multitude of things they need to do throughout the conception, prenatal, and birth stages of their church plants. The cost for the seminar is $225 per person or $250 per couple. Those registering before May 15 receive a $25 discount. The fee covers conference costs, meals, the church planter’s resource manual, and a thumb drive containing hundreds of helpful ideas and forms for use in ministry. Graduate academic credit is available from Baptist Bible Seminary for those who complete post-course assignments and a project. Undergraduate credit is available through several Bible colleges. Inquire in advance for details and tuition charges by emailing Dr. Ken Davis, kdavis@clarkssummitu.edu. Click here to download registration forms and to view additional information. Posted in e-INFO, Improving Your Ministry Skills, May 2018 on May 11, 2018.